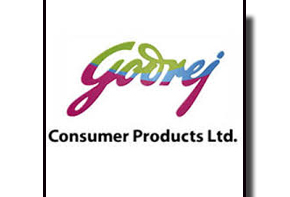 Godrej was established in the year 1897. 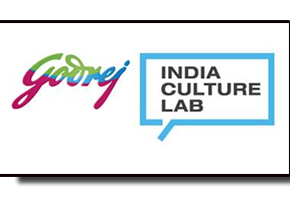 The Godrej group has grown in India from the days of the charkha to todays call centers. The founder, Ardeshir Godrej, lawyer-turned-locksmith, was a persistent inventor and a very strong visionary who could see the spark in the future. Most of the inventions which were manufactured by his brother Pirojsha Godrej, were there are foundation of today's Godrej empire. One of India's most trusted brand, Godrej enjoys the patronage and trust of around 500 million Indians every single day. Godrej customers mean the world to them. With 7 major companies which have interests in real estate, FMCG, industrial engineering, appliances, furniture, security and agri care - to name a few - the turnover crosses 3.3 billion dollars. India has 600 million people below the age of 25 out of which only 80 million (13%) are employable. The effort is going to be on skilling these people such that they become employable. Goal: To train 1 million rural and urban youth in skilled employment to increase their wage-earning potential. In order for its businesses to truly become sustainable, efforts are focused on creating carbon neutral, zero waste, water positive and energy efficient businesses.To become carbon neutral and water positive, achieve zero waste to landfill, reduce specific energy consumption and increase itsrenewable energy sources.The Godrej Group has already been working on these goals as they are signatories to the CII code for Mission of Sustainable Growth (MSG) which is a 10-point program for ecologically sustainable business growth. A good product/ service are that which addresses a critical issue for people living below the poverty line. The issue could be related to health, hygiene, water, sanitation, housing, education or livelihoods. A green product / service is that which reduces energy, water or material consumption by 20%, GHG emissions by 20%, eliminates toxic materials or uses 100% recyclable, renewable and / or natural material. To have a third of its portfolio revenues comprise good and/or green products and services - defined as products that are environmentally superior or address a critical social issue (e.g., health, sanitation, disease prevention) for consumers at the bottom of the income pyramid. In the year 2009 India's Best Companies to work for, Godrej Properties Rank 1st in Construction and Real Estate. India's Best Companies to Work For GCPL ranked 1st in the FMCG Category and 15th in the Overall Ranking, Hewitt Best Employers in India GCPL ranks 11th in India and among 25 Best Employers in Asia. GCPL's Malanpur Factory bagged awards at the 11th National Suggestion Summit, 2009 conducted by INSSAN In the year 2008 Best Companies to Work for in India GCPL ranks 6th in the survey by Mercer Consulting and Business Today. BT - Mercer Best Companies to Work for in India Godrej Industries Ranks 15th GCPL ranks 9th in the Great Place to Work Survey by Great Place to Work Inc. In the year 2007 GCPL ranks 15th in the Great Place to Work Survey by Great Place to Work Inc. The Company also organizes larger events within Mumbai including full day conferences like Urban (Re)Imagination (January 2011), or events like the Kenya Hara (February 2012) and Tadao Ando lectures (May 2012). Many of the events like the Museum of Memories (December 2012) are hard to categorize. (This was a pop-up one-day only event with performances, music, theatre, tea, yoga, live art, graffiti, videos, dance, robots, alternate reality games, and much more set in a 60,000 square foot warehouse that was destroyed the following day). In addition to the above, the company periodically host invitee-only closed-door salons where it assembles multiple stakeholders.